Innovative products for your applications! Our customers are well-known companies of the automobile industry, household appliance industry, plastics industry, medical technology and numerous other areas. Over 500 patent applications and always further innovations underline our right to strengthen our market also in the future. Since more than 50 years Türk+Hillinger stands for innovation, competence and reliability which is based on the motivation and qualification of our staff. Numerous of our products are stock types. Of course we are also able to deliver custom-made products conform to your special demands. Please contact us and tell us your needs. It will be a pleasure for us to assist you. our plants. Surely, you meet us all the time. respective heating problems of our customers. machinery if required. This gives us a maximum flexibility and ensures prompt delivery. The Türk+Hillinger Group decreeds about a continuous Quality management system and is certified by DIN ISO EN 9001. Since more than 50 years the enterprise Türk+Hillinger developed continuously and from own strength to one of the market leaders in our industry sector. Stagnation is regression and therefore we always strive for changes with the objective of constant improvements for our customers. New developments, permanent investments and our motivated employees were in the past and are also in the future the guarantors for our market success. 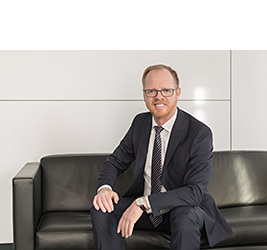 As familiy-owned company we think and act on a long-term basis and we want to be a strong and reliable partner for our customers at long sight.